If you take time to look carefully, every so often you come across something unexpected and quite profound. Amongst a selection of agar plates on which I was routinely growing fungi from soils I came upon this. 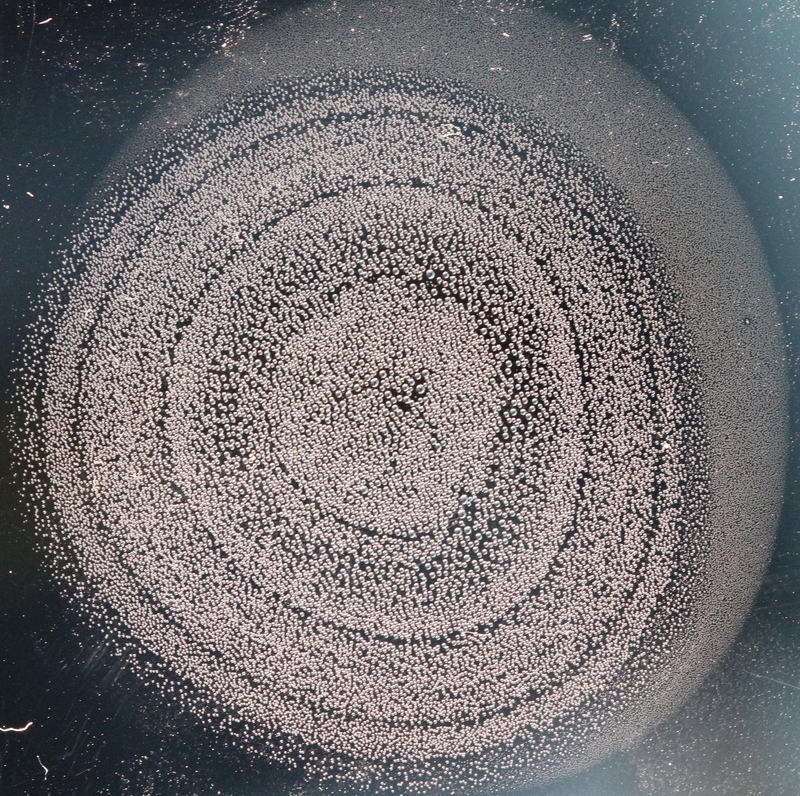 A mould had grown on the agar, and in the process of respiration, had consumed oxgen and produced water and carbon dioxide as we do, but in this case, the water had condensed on the hydrophobic Petri dish lid, and into a pattern that reflected perfectly the activity of the living mould beneath it. In this manner, it’s usually unseen breath, and hence that of the soil from which it had come, had become visible in the most beautiful of ways. This entry was posted in Uncategorized and tagged climate, environment, nature, process of respiration, science by simonsublime. Bookmark the permalink. Gee I’d love to see your studio Simon!